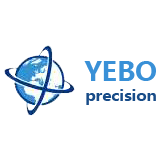 Zhuhai Yebo Precision Manufacture Ltd was founded in 2015 and is a comprehensive enterprise integrating R & D, production, sales and trade. we have magnetic BU, power adapter BU, electronic components BU,metal parts BU, injection molding BU, labrotary equipment BU, LED light BU and integrated BU. Products are widely used in electronics, electrical appliances, and automotive, medical and other industries. Hong Kong JBELEC-MAG limited is her subcompany and mainly responsible for trade and procurement consulting work all over the world. Magnet BU including: RdFeB magnet, Ferrite magnet, AlNiCo magnet, Bonded RdFeB magnet, SmCo magnet and other magnetic products; All products can be customized.Price is lower about 10~50% than China market price. Power BU including: desktop adapters, wall mount type power adapters, power transformer, linear adapters, switching adapters, chargers, LED power, USB cable etc. All products can be customized. Price is lower about 10~50% than China market price. Electronic components BU including: resistors, capacitors, ICs, diodes,crystals, moudules, inductors etc. Injection molding parts BU: plastic injection molding parts are customized, factory have the lowest price in the peer; Price is lower about 15~50% than China market price. The company aims to provide quality products and quick and efficient services to customers at home and abroad with the aim of "integrity, quality, innovation and service". The company pursues the trade policy of "paying attention to the quality, satisfying the customer's requirements, improving the quality and constantly surpassing the customers' expectation" and importing the quality and steady suppliers. With the integration of the global economy, the company will meet the opportunities and challenges at the same time. Choose us; you will get quality products, low price, and satisfactory service. Looking forward to your inquiry and cooperation.